This course will give you hands-on development experience and prepare you for a career as a professional Manual Testing programmer. Testing can be through black, white or gray-box testing. In white-box testing the tester is concerned with the execution of the statements through the source code. In black-box testing the software is run to check for the defects and is less concerned with how the processing of the input is done. Black-box testers do not have access to the source code. Grey-box testing is concerned with running the software while having an understanding of the source code and algorithms. Looking for Best Manual Testing Training? After completion of module1, candidates will be well versed in CMMI Levels, Software processes and methodologies followed in organizations. 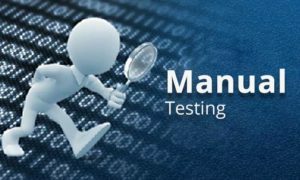 Ascent Manual Testing Training Institute Providing high quality training at affordable fees is our core value. We offers classroom on niche technologies which are in high demand. All our trainers are IT professionals with rich experience. We work with our students in developing the right skills they need to build their career in present competitive environment. We have flexible batch times to suit the timings of graduating students and working professionals. Ascent Testing Training Institute In Bangalore Excellent Trainers and Fabulous Lab this is what you can expect from us.Free training materials, Free Career consulting, Career guidance by experienced IT professionals, Pleasant and modern training rooms.